One Month Down, A Lifetime To Go! | Sweet . Sassy . and a bit Smart-Assy . One Month Down, A Lifetime To Go! 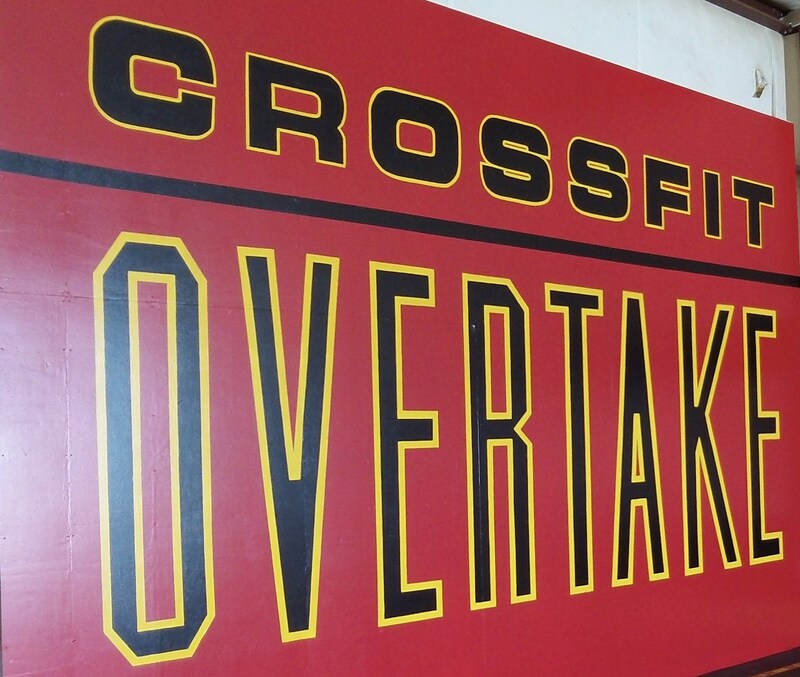 I think I mentioned before that I started working out at CrossFit OverTake in October. I don’t shove it down everyone’s throats like a lot of people who do CrossFit do because before I started I thought it was annoying and that those people had no life outside of working out and that is just weird to me. I started working out in October but didn’t really change my eating habits. 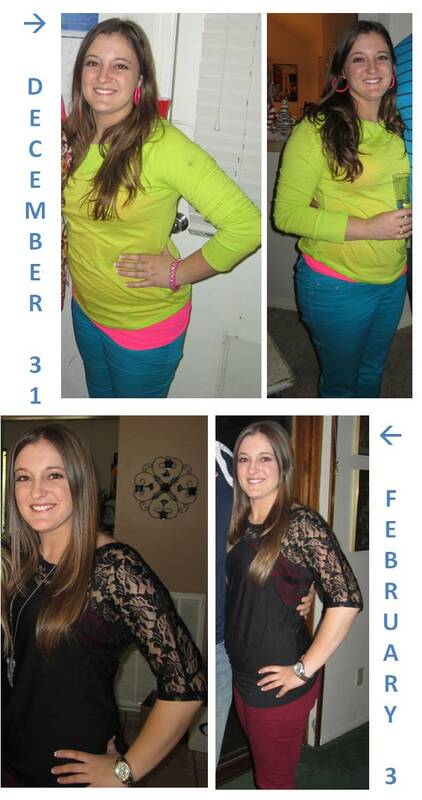 I seriously saw ZERO change in my body from October to December and that was frustrating. I noticed an increase in my endurance but I wanted to see changes in my appearance/weight because who doesn’t when they put in time to work out?! Well, I decided that January 1st I would begin eating healthy and count my calories by writing down everything I eat to really see what I am consuming. (not really as a New Year’s resolution but more of just a clean slate commitment to myself to get healthy and look better.) Also, counting calories is the only way I have ever been able to lose weight in the past because you really have no idea how much you are eating every day if you don’t keep track of it. I have been trying to eat around 1300-1400 calories on a typical day. On days that I work out, I allow myself a little more. I have yet to feel deprived of anything. I still go out to eat and have an alcoholic beverage on occasion because I am trying to make permanent habits and I know I won’t keep it up if I completely remove anything from my current lifestyle. Moderation is key! If I want a piece of candy I will either eat it and write down the calories and usually regret it later or (in most cases) see the calories and think it isn’t worth eating for that much and the craving goes away. Around the 2nd/3rd week, it got pretty difficult because I started craving random things like chocolate or pizza but instead would have a cup of light hot chocolate or a pizza lean pocket (not the best thing for you because it’s frozen but it’s better than a couple of slices of Domino’s pizza). I also had those days where I seem to be hungry all day, no matter how much I eat, and those days you just have to push through and drink a bunch of water in between meals and snacks to stay satisfied. Did you know most of the time when you think you are hungry, your body is actually just thirsty? So instead of grabbing a snack, drink a cup of water and see if that helps. So far, that is usually my case. And guess what? It’s working! I lost a total of 8 pounds in January! It took about 5 or 6 pounds of weight loss for me to even begin noticing any changes. But I will tell you that my clothes are fitting better and I have already started to feel happier with my appearance! It is kind of hard to see a difference in the pictures above but here’s a little secret — I was wearing spanx on New Year’s and still felt uncomfortable but I was spanx-free and more confident at Neva & Korey’s Super Engagement Bowl Party on February 3rd. And that’s only a month of work! I don’t necessarily have a “weight loss” goal (mainly because with working out/lifting weights you lose fat but gain muscle so you won’t see a huge change on the scale) but I would like to lose some inches (obviously, not in height because that would be ridiculous) and to tone up my body. Right now, my goal is to feel good wearing a tank top. Simple and realistic goal, right? That means losing more gut and toning my arms which tend to be my “problem” areas. Why am I telling you this? Because I need some sort of alternative accountability and maybe some of you will be motivated because if I can do it, so can you and who doesn’t love a good support system?? I figured if I posted it on here then I would have that back-of-my-mind motivation to stick with it to show you my next set of results! February is going to be a little more difficult to stay on track because I will be on vacation in California for a week, which means no CrossFit during that time but hopefully I can squeeze in a couple of random work outs here and there even if it is just little quick ones! Anyone want to be an accountability partner with me? Hey girl!! I am doing the same thing! I started looking at the Whole30 eating thing and I love it! It is making me make better food choices and work out! If you ever have any really good recipes send them my way! Hope your doing well! Keep up the good work! As soon as the Rodeo is over and I am not working 7 weeks straight and I am sure eating complete crap… most of it fried. Accountability buddy right here!